Contrary to the beliefs of many one-make enthusiasts no manufacturer ever made a bike which was devoid of design errors. Likewise, the suppliers of ancillary equipment had their own problems which often compounded the manufacturers’ errors. Add 50 years of damp & deterioration, the benefit of hindsight, improved materials & technology & we have the opportunity to improve on the product of Mr. Parrilla. The Hicam Parilla engine was an innovative design for its day with many unique solutions to problems which other marques handled in a more conventional (& some may say heavy handed) way. Here we will consider the improvements we can make to the engine & ancillary equipment. If your bike is for show & light (or no) road usage then these modifications will be of no, or little, interest. The OE (original equipment), if in good condition, will be perfectly adequate. If you are considering track use, regular road usage or entering an event such as the Motogiro D’Italia then they will be worthy of consideration. 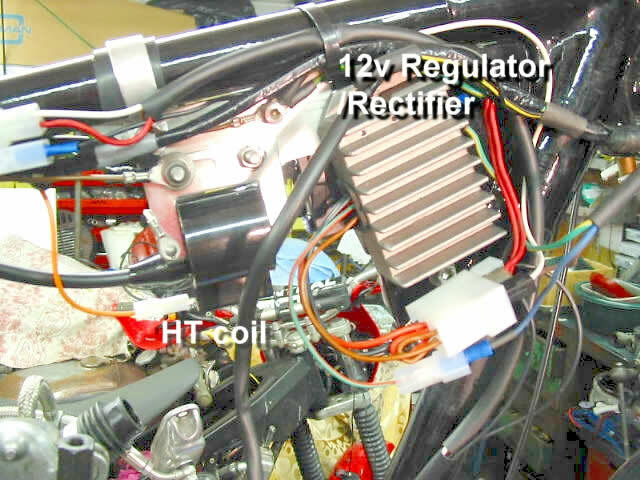 The biggest improvement to the reliability of the machine as a whole is to both improve the charging system (including a change to 12v) & remove the need for a fully charged battery to power the ignition system. The OE CEV or CESA 6v dynamo & mechanical voltage regulator can be made to work ( I completed my first Giro D’Italia with just such a setup) but its complication, lack of spares availability & at best marginal charging capacity (40w) make it a weak point. 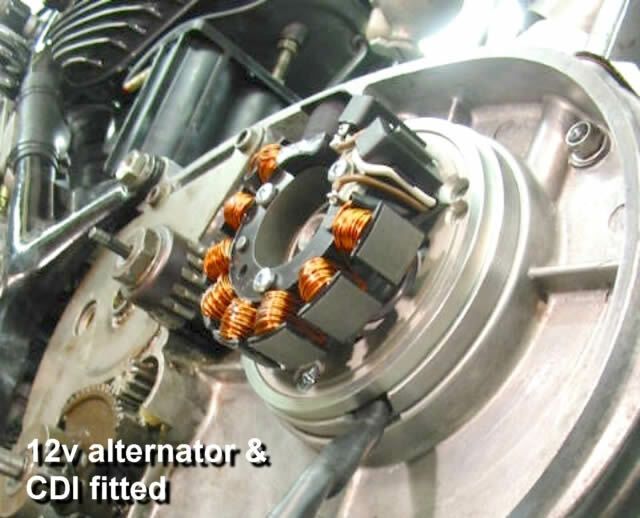 Vape 12v alternator & self generating CDI. 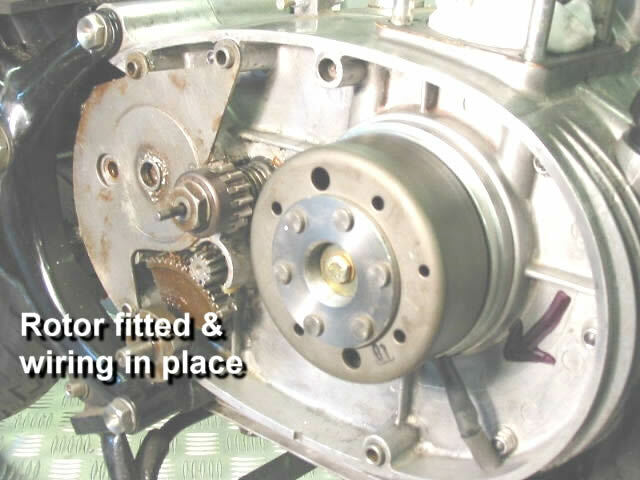 The fitting process – remove CEV rotor & fit Vape baseplate. 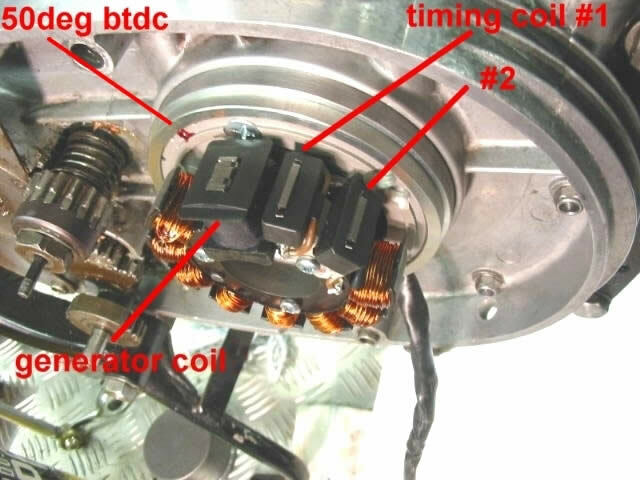 Set the crank to the appropriate fully advanced ignition timing for your model. 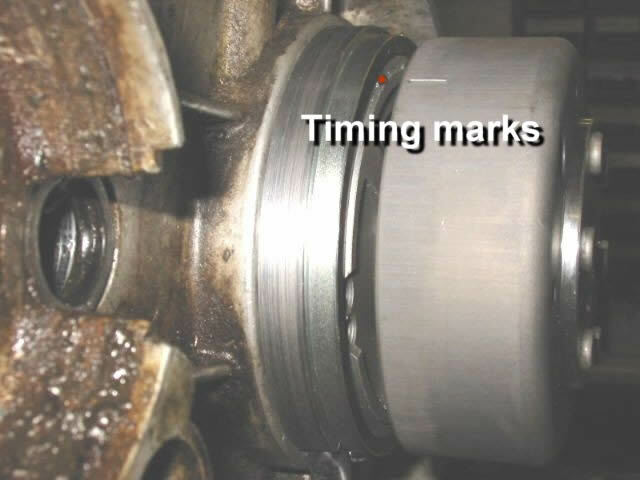 Stator components & timing marks. 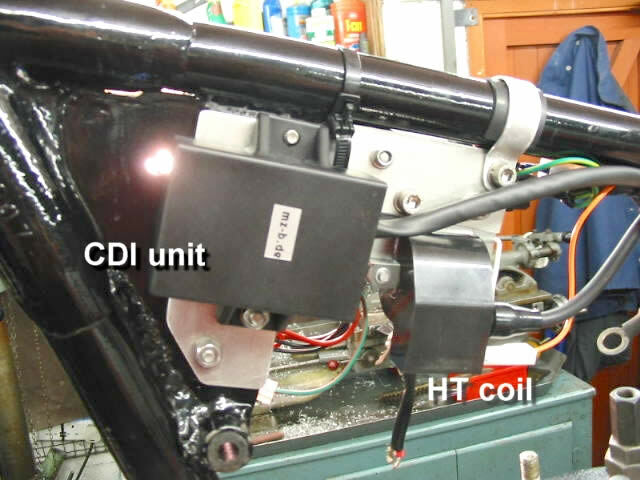 CDI control box, HT coil & regulator (awful wiring, since tidied up!). The setup has functioned perfectly for the past 2 years & provides a robust spark at kickstarting speeds…with no battery needed!